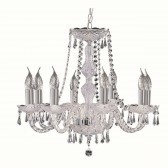 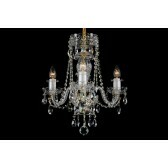 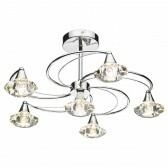 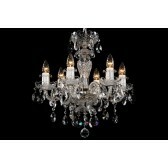 A crystal chandelier with six light bulbs and silver coloured metal parts. 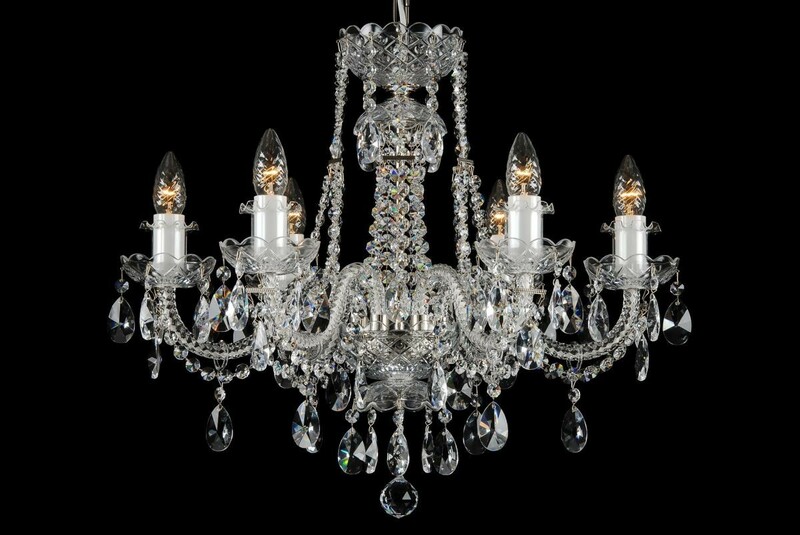 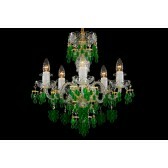 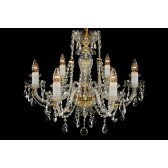 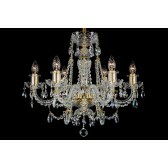 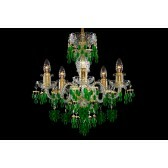 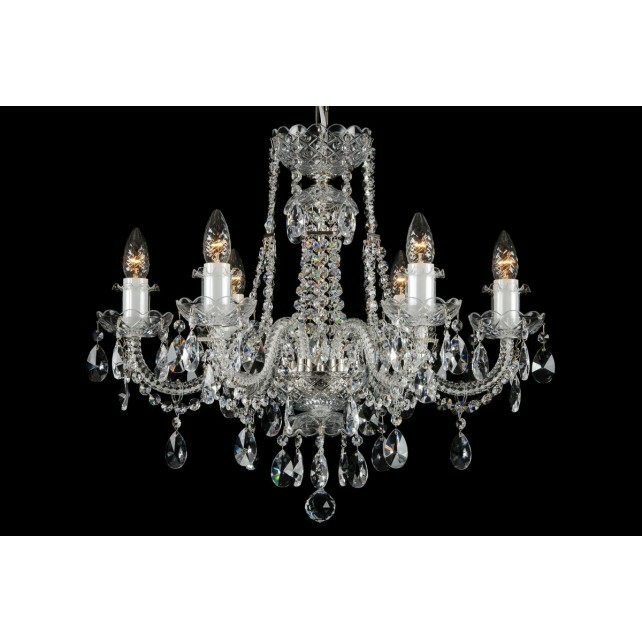 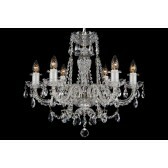 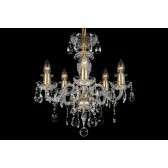 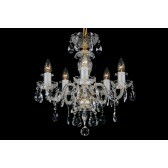 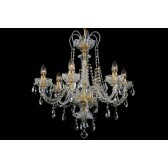 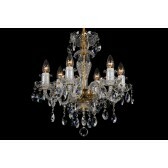 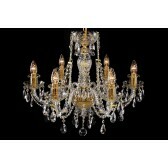 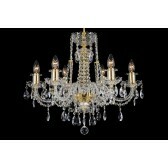 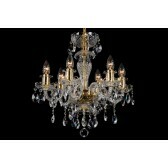 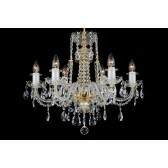 The upper part of the chandelier is decorated with crystal chains which also replace the column. 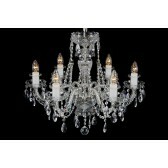 We use many leaded chains so that the chandelier can shine beautifully. 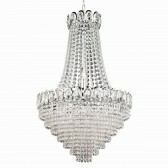 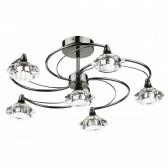 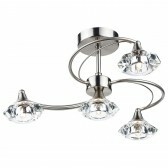 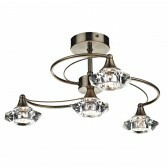 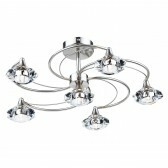 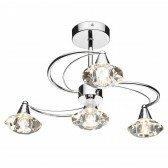 The neutral crystal combined with silver fitting can be used in any interior regardless of colour. 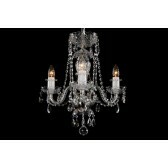 We recommend combining this chandelier with larger ten-arm or twelve-arm chandeliers of similar design or complementing them by one-arm crystal wall lamps of the same colour.